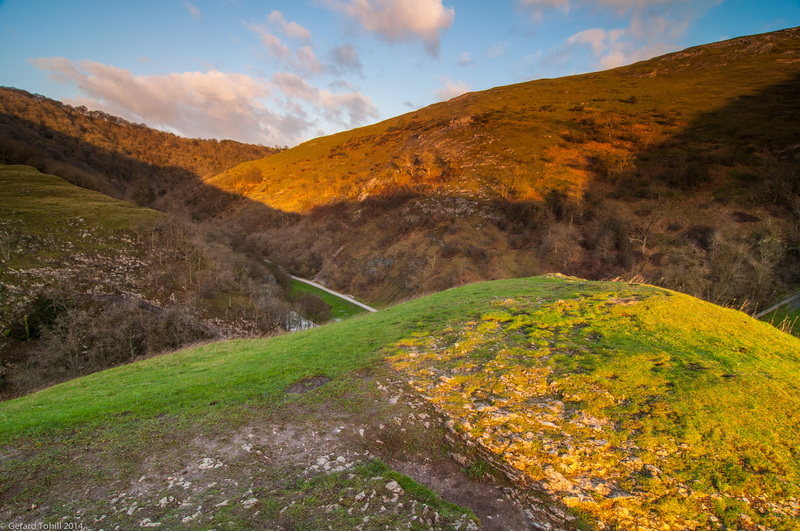 This is the view back into Dove Dale, from part way up Thorpe Cloud, as the sun rises and the warm light hits the sides of the valley. The valley is quite steep. In the winter, the sun is so low it does not hit the valley floor. It’s a short, steep climb to this point. You can stop here for a breather, but head on up to the top for more views of the area. Photography stuff: 12-24mm lens at 12mm, 1/25 sec at f/9.0, tripod.